Poland—home to some of the most bike-friendly cities in the world—unveiled a gorgeous, glowing bike path near Lidzbark Warminski in the Mazury region last week to help nighttime cyclists get from A to B. Cycling is one of the most eco-friendly ways to travel, and thanks to this solar-powered bike lane that glows in the dark, it just got even moreso. 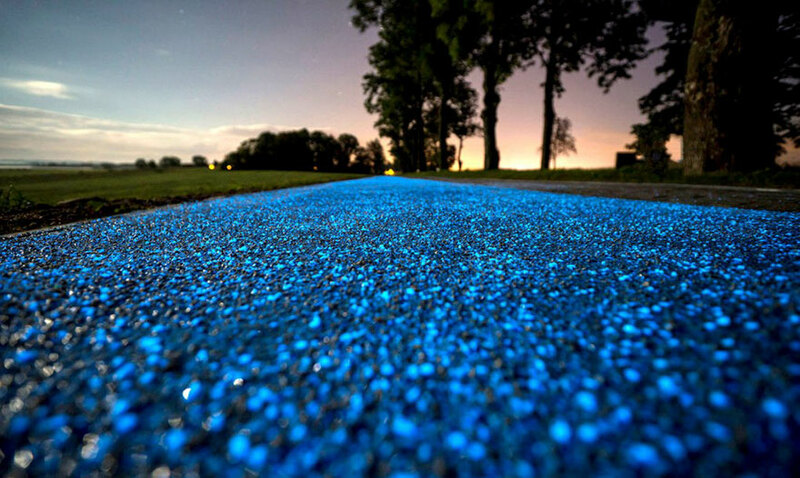 The path is illuminated by phosphor, a synthetic material that lights up after it’s charged by sunlight. 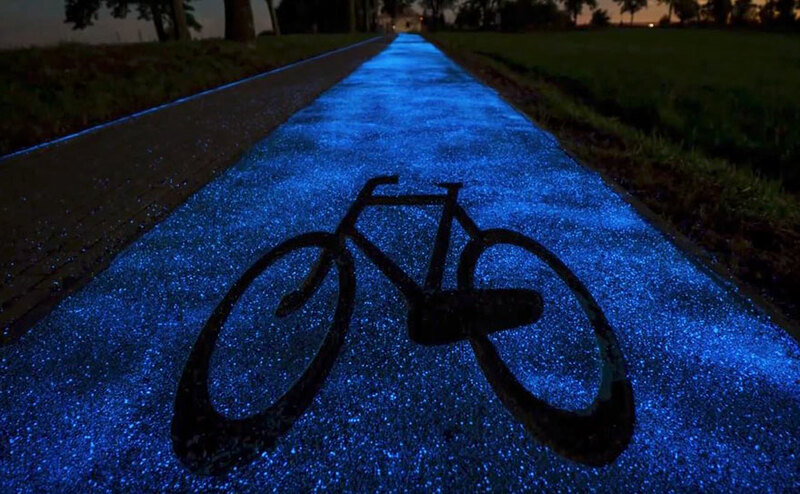 Studio Roosegaarde’s Starry Night bike lane inspired TPA Instytut Badań Technicznych Sp. 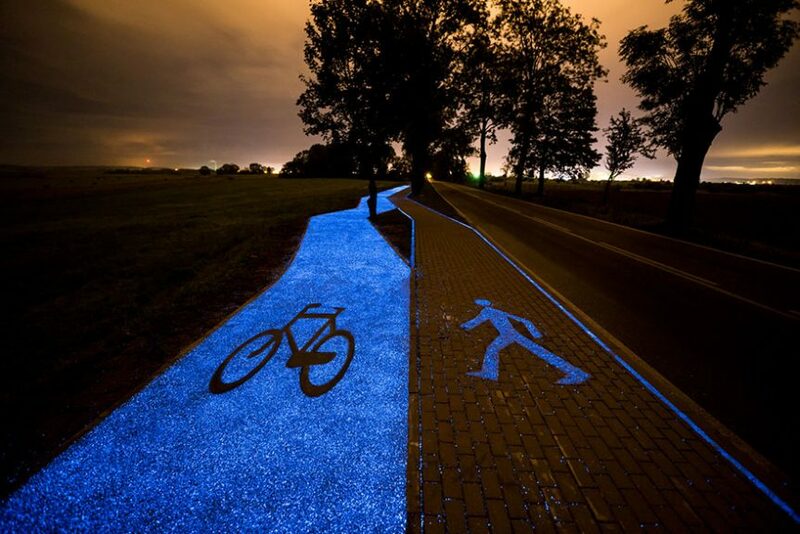 z o.o to create the glowing bike path. TPA Sp. z o.o. president Igor Ruttmar told Gazeta Wyborcza that the material in the bike path can emit light for around 10 hours. Each day the path collects the energy that enables it to glow at night. Board of Regional Roads in Olsztyn director Waldemar Królikowski said the luminous bike path is meant to improve the safety of people biking at night. If by any chance you are planning to visit Poland, don’t forget to bring your bike. Driving a narrow track beside a road in a suburban area, an action that might have been risky in the past, was turned into an exciting experience. Image Credit: TPA Sp. z o.o.